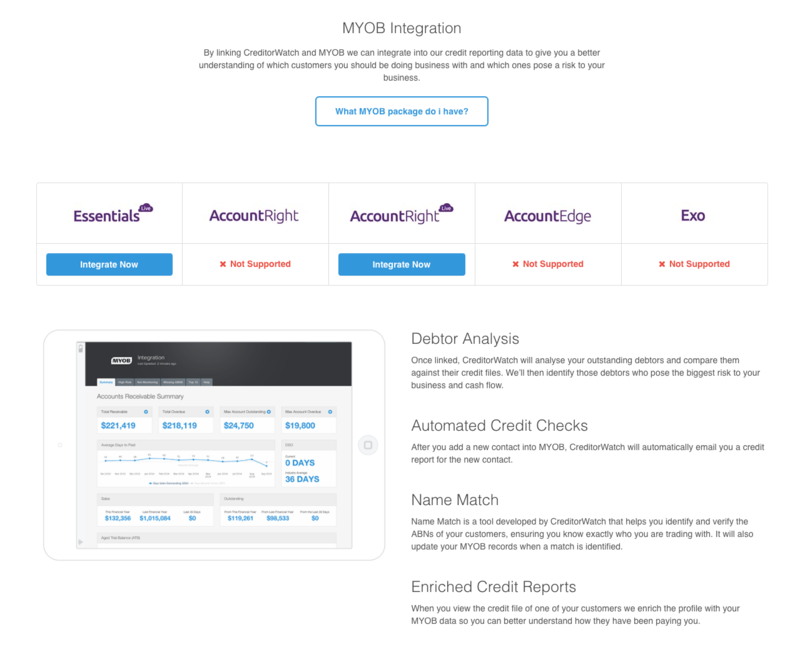 Click the 'integrate now' button on the relevant MYOB package that you have. 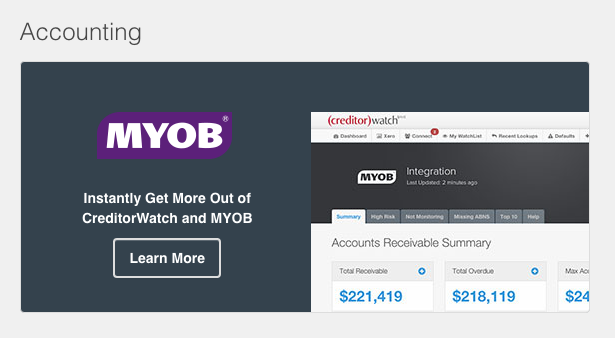 Follow the onscreen instructions to link your MYOB account. If you have any questions during the onscreen instructions, just contact our customer service team via live chat.